What on Earth Are You Doing About Earth Day? Comments Off on What on Earth Are You Doing About Earth Day? 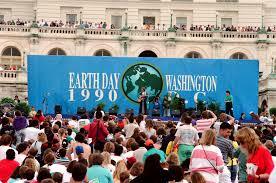 On April 22nd every year, Earth Day is celebrated around the world. It is a day set aside to think about what we can do individually, and collectively, to protect Earth’s environment. 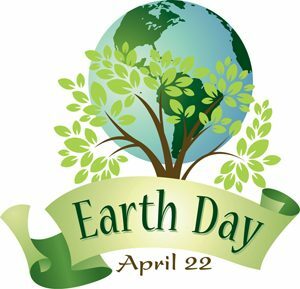 Earth Day began in the US, when Gaylord Nelson, a Senator from Wisconsin, was inspired to create a national day to focus on the importance of protecting the environment. 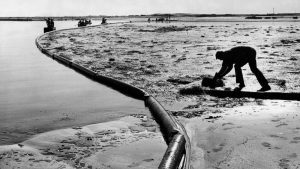 In January 1969, an oil well blew out off the shore of Santa Barbara, California, killing more than 100,000 ocean animals, including seals, birds, and dolphins. In the wake of the devastation, Nelson was inspired to lead a “national teach-in on the environment.” Working with Dennis Hayes, a graduate of Harvard, together with a group of volunteers, the first Earth Day was observed across the US, on April 22, 1970. The national event was attended by an estimated 20 million people. Rallies took place from coast-to-coast, with demonstrators giving a voice to environmental issues, such as the use of pesticides, preservation of wildlife and wilderness, toxic dumps, and industrial pollution. In 1990 Earth Day expanded globally, engaging and unifying 200 million people across 141 countries, reflecting the role that each one of us has in preserving our beautiful planet. Today, 48 years after the first-ever Earth Day, the legacy continues. 1. Instead of buying books, read e-books or go to the library. 2. 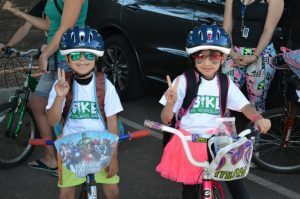 Walk or ride your bike to work or school instead of driving. 4. Give up bottled water and use filtered or tap water instead. 7. Repair. Reduce. Reuse. Recycle. 9. Conserve water and electricity. 10. Have a vegetarian day once a week. 1. Earth is the 3rd planet from the sun. 2. 65% of the Earth’s surface is under water. 3. 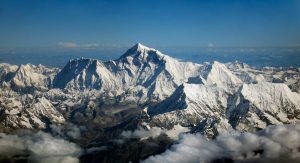 Everest is the highest point on planet Earth. 4. The largest ocean on Earth is the Atlantic. 5. Earth is the only planet in our solar system that is not named after a god. At The Flag Shop, we care about sustainability, and recognize that we have a responsibility to model social consciousness in business. Echotex®, developed by The Flag Shop, is a 100%-recycled banner fabric, which is made of 65% pre-consumer polyester fiber and 35% PET (plastic bottles) waste. Echotex® offers socially-responsible, vibrant, and durable options for street banners. To take a closer look, please visit our Echotex® gallery. To further reduce plastic waste, we also offer The Flag Shop Reusable Shopping Bag. 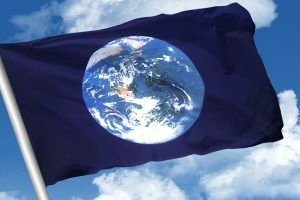 If you’re looking for Earth Flags and decals, to help you celebrate our planet, we’ve got those, too! If you enjoyed this blog, and would like to read more interesting stories about flags, and events taking place in your community, subscribe to our blog in the upper right corner of our blog page at: blog.flagshop.com. It’s quick and easy! And, don’t worry, if you’re not hanging on every word, unsubscribing is easy, too! On April 22nd – and every day – what on Earth will you do about Earth Day? Tartan or Plaid – What’s the Difference? Comments Off on Tartan or Plaid – What’s the Difference? A tartan is a pattern of criss-crossing horizontal and vertical stripes, of multiple widths and colours. Originally made of woven wool, the tartans of today are made with various textiles. Tartans are specifically associated with Scotland, and Scottish kilts usually have tartan patterns. 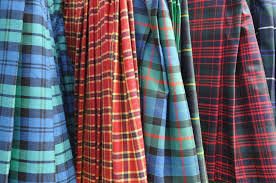 Often called “plaid” in North America, a plaid in Scotland refers to a tartan cloth worn over the shoulder, as an accessory, or a plain blanket for a bed. Tartan Day is celebrated by Scots around the world. In Canada, about 13% or 4.8 million people are of Scottish descent. In the US, between 8% and 10% of the population claims to be of Scottish descent. Argentina’s population includes approximately 100,000 people of Scottish descent, which is the largest population of Scots in a non-English-speaking country. National Tartan Day was first proposed at a meeting of the Federation of Scottish Clans in Nova Scotia, in 1986. During this meeting, the following motion was put forward: “That we establish a day known as Tartan Day. This is to be a day chosen to promote Scottish Heritage by the most visible means. The wearing of the Scottish attire, especially in places where the kilt is not ordinarily worn, i.e. : work, play or worship.” Then, in 2010, the Minister of Canadian Heritage officially declared April 6 to be Tartan Day in Canada. This date was chosen because it was on this date in 1320 that the Declaration of Arbroath (the Scottish Declaration of Independence) was signed. On March 9, 2011, the Maple Leaf Tartan was declared an official national symbol of Canada. This tartan was created by David Weiser, in 1964, in preparation of the 100th anniversary of the Confederation of Canada (1967).The Maple Leaf Tartan is a symbol of Canadian pride, worn by Canadians of every heritage and ethnicity, on important national days such as Tartan Day and Canada Day. 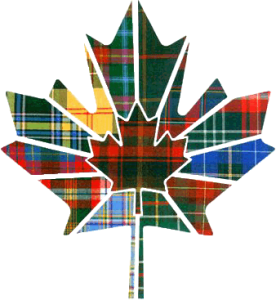 Based on the colours of the maple leaf, throughout four distinct seasons, the tartan’s pattern reflects the greens of summer, the gold of early fall, the red colour of the season of the first frost, and finally, the brown of the leaves on the ground before the arrival of winter. 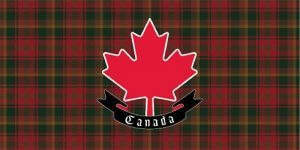 To show just how important this tartan is, as an official national symbol of Canada, other official symbols include: the maple tree, the Royal Coat of Arms of Canada, the Canada flag, and the beaver. 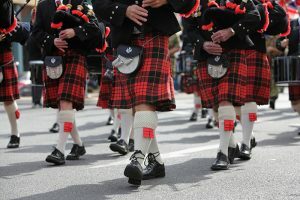 There are so many Tartan Day events going on across Canada, and we found a few to share! Get your tartan on and celebrate Scottish heritage and pride at an event in your community! Classes will be available in two levels, including Beginner/Intermediate, and Social. For more information, visit the Red Deer Scottish Country Dancers website. For more information, visit the Vancouver Island Scottish Country Dance Society website. Celebrate the 20th anniversary of the RCMP Tartan, and the National Pipe Band. For more information, visit the Scottish Society of Ottawa website. Join the Sons of Scotland Pipe Band at a concert celebrating Scottish heritage on Parliament Hill. For more information, visit the Sons of Scotland Pipe Band website. Want to Know Where to Get Your Tartan Flags or Scottish Flags? All Flag Shop locations across Canada carry Tartan flags, and Scotland flags known also as the St. Andrew’s Cross, or the Saltire, and the Royal Standard of Scottish flags. If decals and lapel pins are more your thing, we’ve got those, too! Need a tartan? Whatever you can imagine, we’ve got more, and we’re here to help you celebrate Tartan Day, and its rich Scottish heritage! For interesting stories and information about flags, and to stay on top of community events taking place across Canada, remember to subscribe in the upper right of our blog page, so you don’t miss a thing! And, don’t worry, if you’re not hanging off of every word, unsubscribing is easy! You are currently browsing the The Flag Shop Blog blog archives for April, 2018.